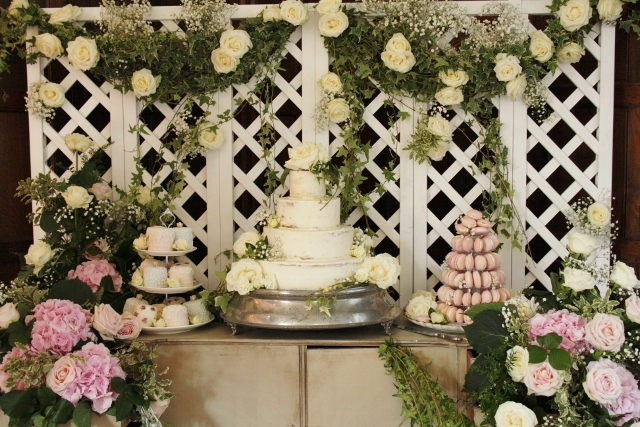 Four tier wedding cake, macarons tower and miniature cakes at Herstmonceux Castle, East Sussex. 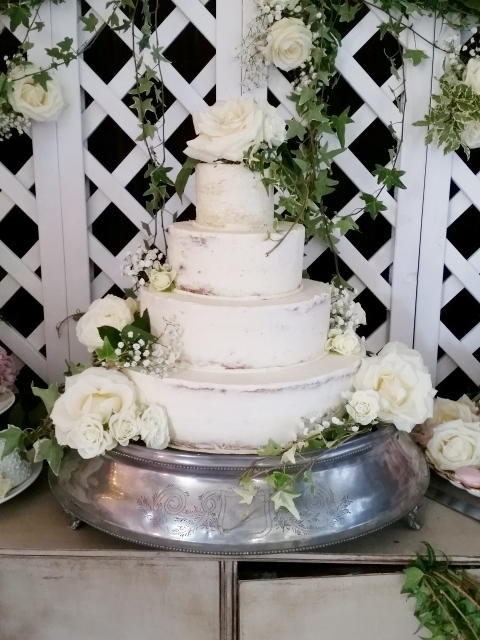 Wedding cake finished with fine buttercream coating, decorated with florals from Beau-K Florist, Eastbourne. Base tier and Tier two of moist vanilla sponge with Madagascan vanilla bean paste whipped buttercream and Raspberry Conserve. Tiers one and three of fresh lemon zest sponge with whipped lemoncurd buttercream. Almond macarons filled with whipped white Belgian couverture chocolate ganache buttercream. 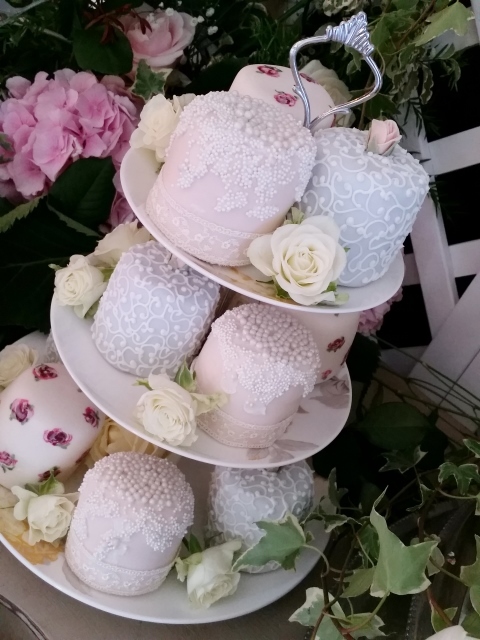 Miniature cakes of vanilla sponge with Madagascan vanilla bean paste whipped buttercream and raspberry conserve, iced in vintage colours and hand piped, sugar roses and hand painted finishes. Wedding cake serves 200 finger portions. Twelve miniature cakes and ninety macarons.